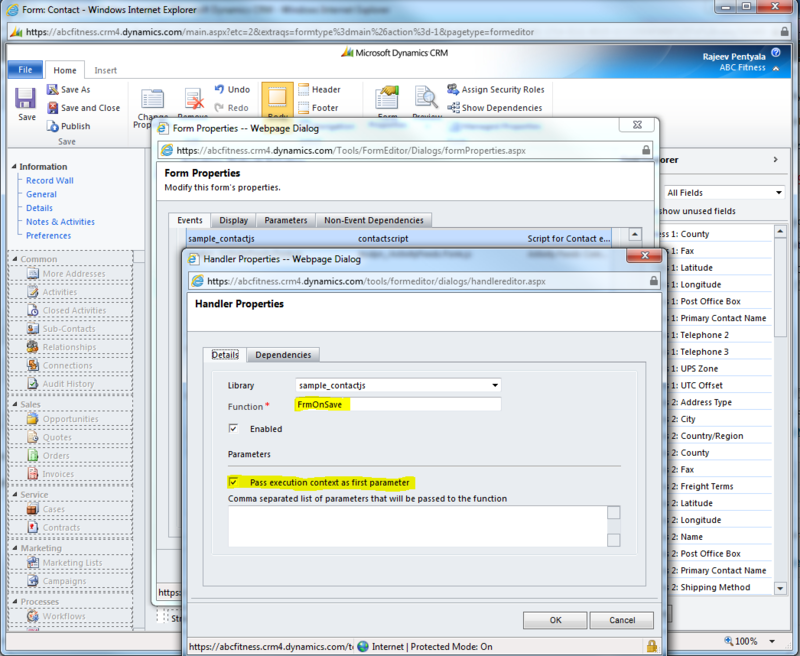 We can perform JScript validation on Activation or Deactivation of a record in CRM 2011. 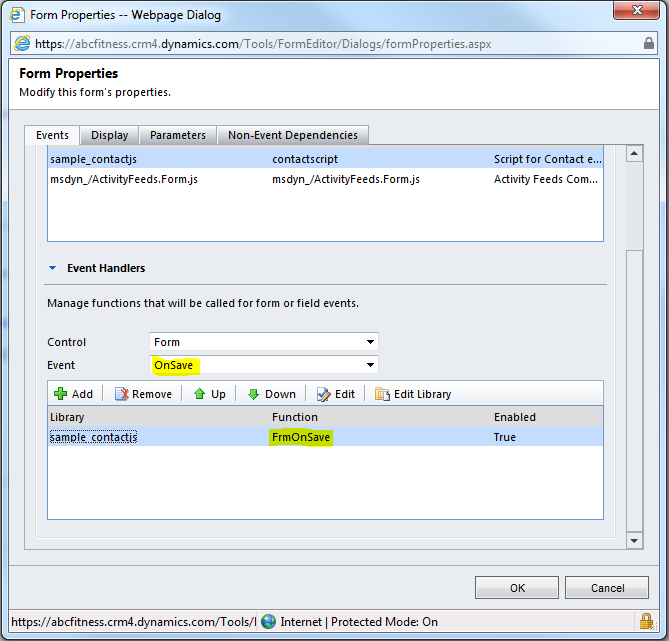 We can achieve this by reading event save mode from CRM context (i.e.,CRM returns unique Codes or Numbers for different actions; Example 5 for Deactivation button click & 6 for Activation click). 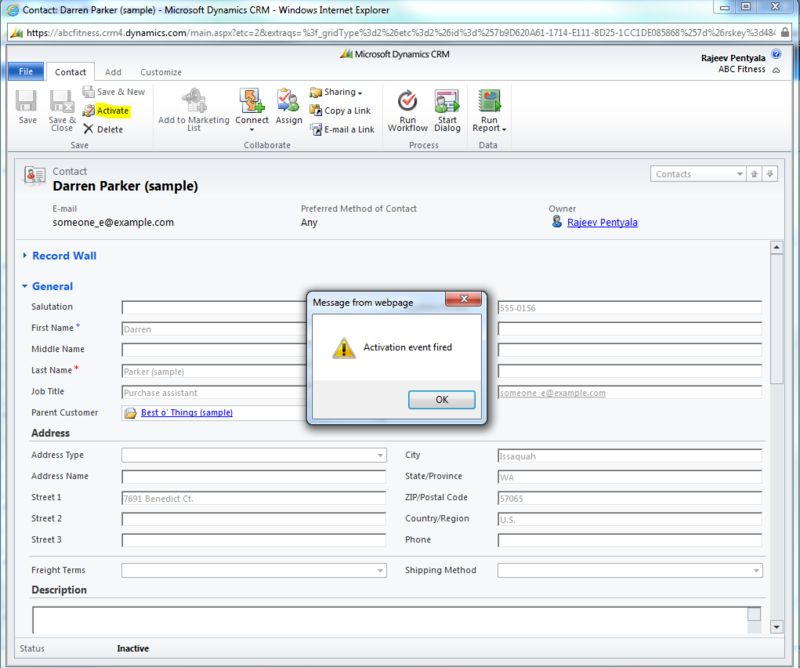 Note :- CRM 2011 JScript allows us to pass “Execution Context” as first parameter to Jscript function. When doing this, this code will only be executed if the activate/deactivate buttons are clicked from within the form. The code is not executed from the record list – but there we also have the activate/deactivate buttons. Steps mentioned in above post works only if you open the record and perform Activate/Deactivate. To validate the same from main grid, you can include ‘EnableRule’ or ‘CustomAction’ for the ribbon buttons on the grid and validate.